Coco Palm Dhuni Kolhu is a luxurious island resort hotel in the North Malé Atoll of the Maldives, one of the world's most stunning locations. 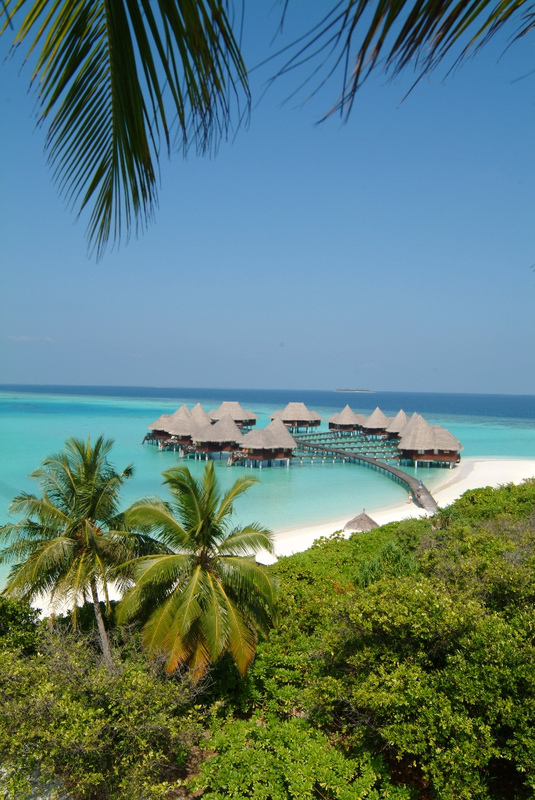 A tropical magic, that is certainly how best we could describe Coco Palm. 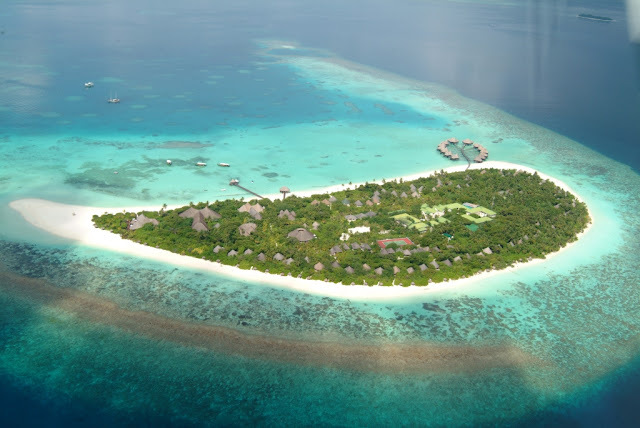 Overlooking a breathtaking lagoon on the exquisite private island of Dunikolu, this unique island has been developed in complete harmony with nature to provide unrivalled luxury for the discerning traveller. 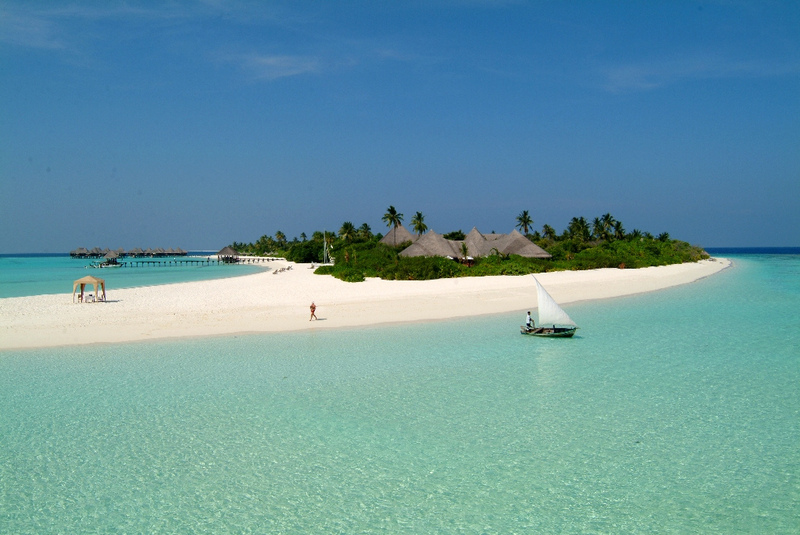 The island's silky soft sand, gentle ocean breeze and beautiful tropical surroundings make it impossible to not feel instantly relaxed. 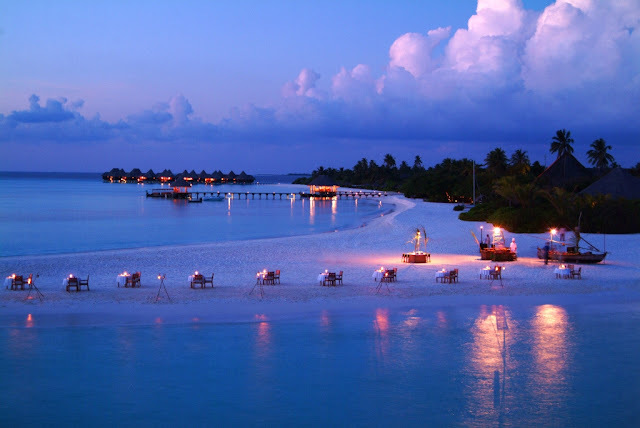 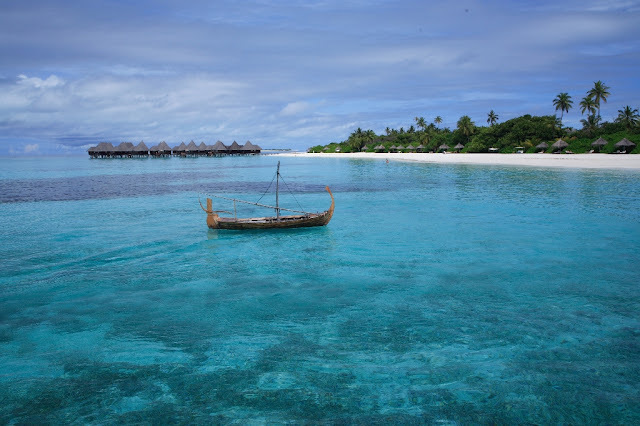 Unusual for the Maldives, the Coco Palm Dhuni Kolhu is a luxurious 5-star resort that also has a “No news, no shoes” goal, so it’s an ideal bit of paradise for those looking to unplug from their busy lives, and especially for those on honeymoons or other romantic getaways. 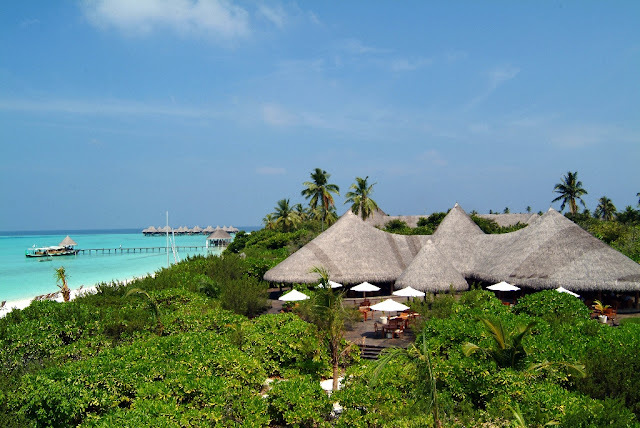 Villas: Coco Palm Dhuni Kolhu features delightful thatched villas, either dotted among palm trees in carefully planned tranquility or on stilts over the lagoon, with spectacular views of the sea and nearby desert islands. 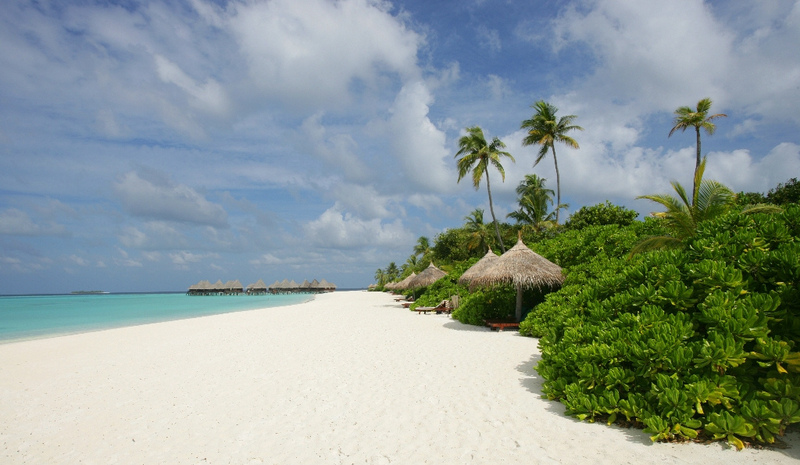 Beach villas and deluxe villas have open air garden bathrooms, for showers at sunrise or at night under the stars. 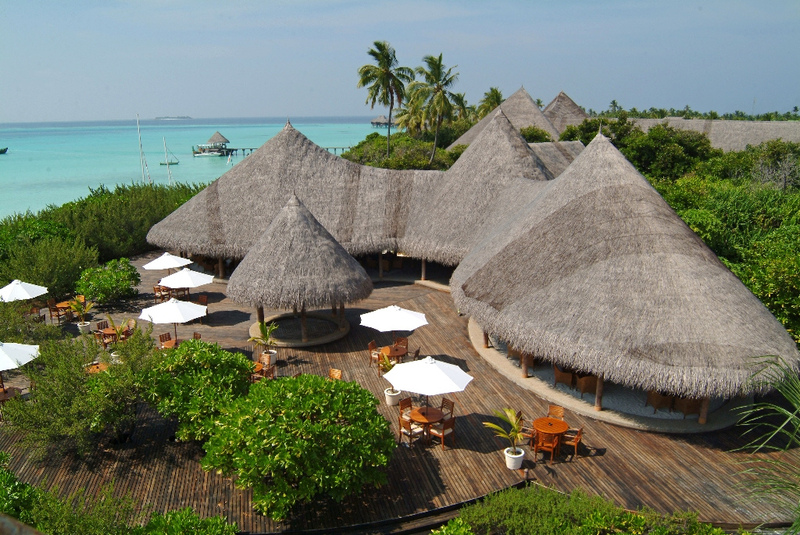 The all wood water villas offer extreme indulgence for those who are looking for exclusivity and seclusion. 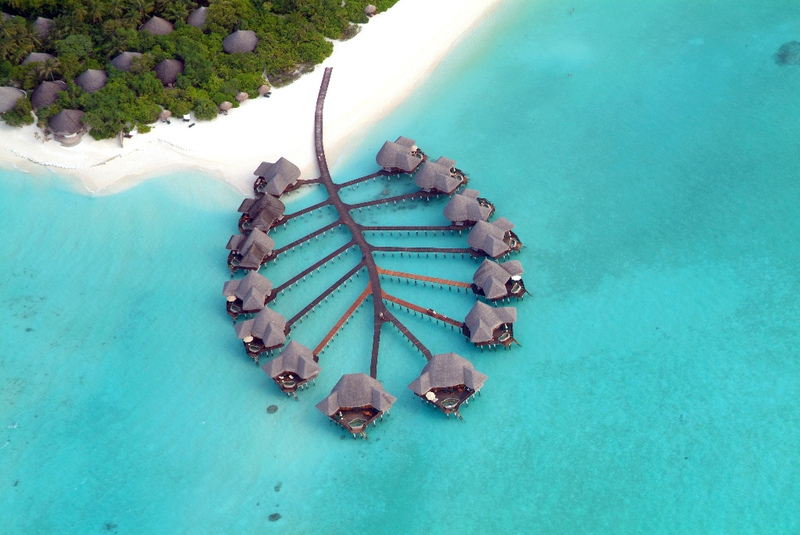 All water villas are fitted with Jacuzzi bathroom overlooking the turquoise waters of the lagoon, plunge pools on the large sundeck, four poster beds and luxurious furniture, fittings and amenities. 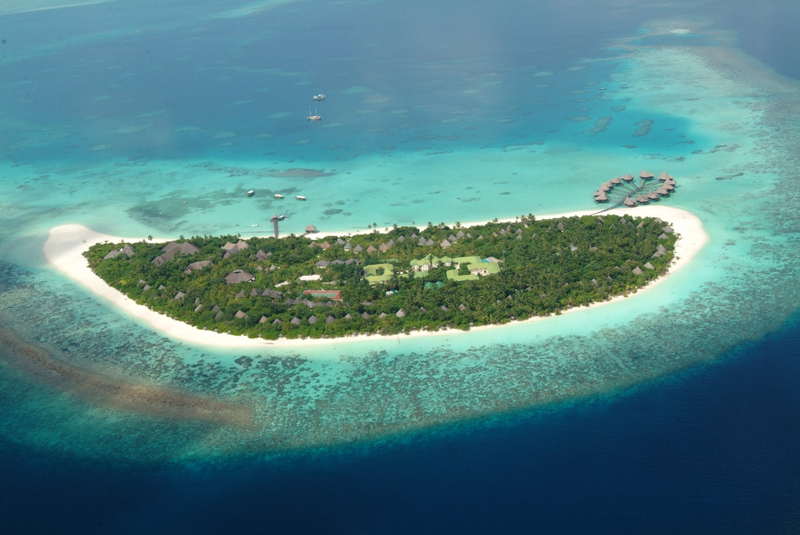 Deluxe villas are complemented with a sunken bath in the open-air bathroom, and a plunge pool on the outdoor terrace. A four-poster bed with mosquito net enhances the romantic mood of the villas. Note: Coco Palm Dhuni Kolhu is benchmark certified by Green Globe International in recognition of its commitment to an eco-friendly operation. 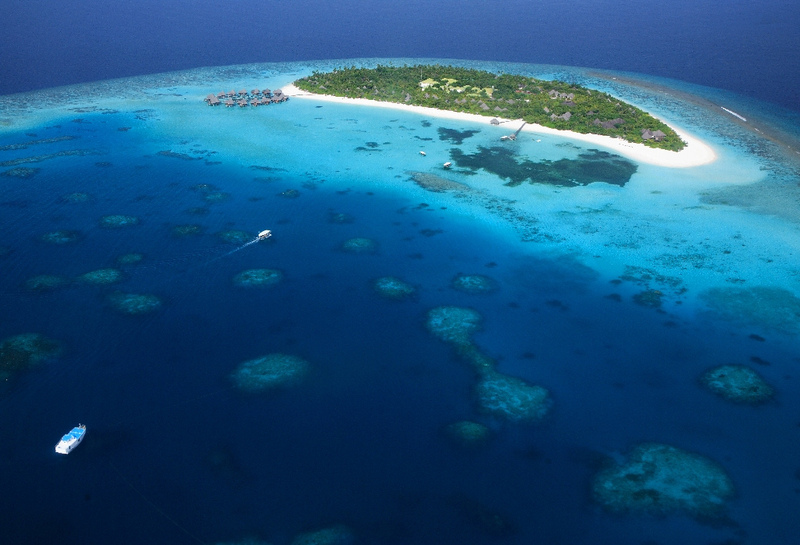 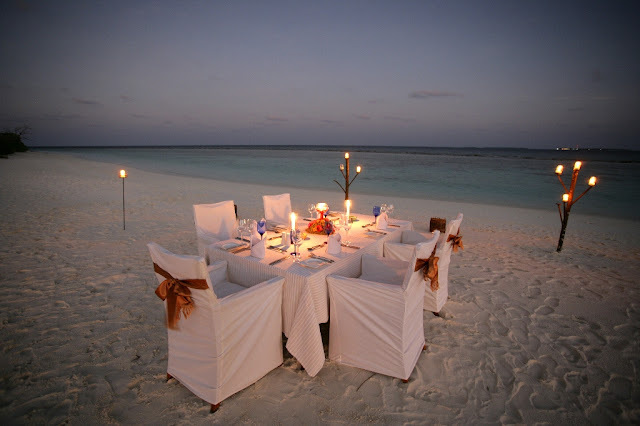 Coco Palm Dhuni Kolhu has a mission to keep the environment beautiful and unspoilt. Products used are biodegradable, wasted water is treated before being poured back into the sea, paper is recycled, all amenities are made from natural products, the wood used in the resort's construction was taken from plantation forests and the resort implements an environmentally-friendly waste management programme.